Resource Recovery - Dapwood Furniture Co.
Resource recovery is the process in which discarded materials are removed from the waste stream. This is typically followed by recyling, upcycling, composting or energy generation. The goals are to reduce the amount of materials sent to landfills, lower consumption of virgin materials, and extract the most benefit from the resource. At Dapwood we feel resource recovery is more accurate than “we recycle” or “we are green”. We do look at the larger picture and resource recovery is one of those basic tenants that we practice at all times- most of the time without even thinking about it. We are also sure to purchase products from other manufacturers that practice this mantra as well. Examples include copy paper made from agricultural slag, headboard material made from wheat straw and shipping supplies made with recycled materials. It is our goal with resource recovery to produce no waste and turn a business cost into a value-added product. We obviously do the usual recycling of cardboard, paper, junk mail, plastics, aluminum, glass, tin, light bulbs, steel, etc. From these efforts alone we have seen a dramatic decrease in waste generation. 7 years ago, the previous owner would empty a large dumpster twice a week. Today we generate less waste than an average household of four. For those 7 years, we have calculated that we have diverted 80,000 ft3 (or almost 800 tons!) of materials that would otherwise be wasting away in a landfill. It wasn’t easy. We had to write a Letter to the Editor to get the City of Albuquerque to try and appease us. If we would have continued doing business as usual, we could have filled a football field 20″ deep with waste! And we are just a small company! Imagine what large companies generate over time! We are drowning in trash! If homes, schools, government agencies, and businesses would really focus on reducing waste, the additive impact would be enormous. There was a B-Inspired talk by John Campbell of WasteZero in Portland Oregon that was very interesting in how to setup the right incentives for residential customers to change behavior and recycle. I hope this thinking will transfer to commercial waste management as well. We donate pieces of wood that we cannot use to a local charity, East Central Ministries, that then uses them to create products to help support those in need. As the pieces of wood get smaller and are not usable in projects, the wood goes to individuals who use wood as their only source of heat in the winter. All of our wood shavings and sawdust are donated to local farmers who use it in multiple ways. Bedding for horses, goats and chickens is the most popular use but it also has been used as a growing medium for mushrooms and as a mulch to keep weed growth down. We believe this is unique in the industry and something to be proud of. We are also working to “Up-cycle” or create another product with a “waste” stream. 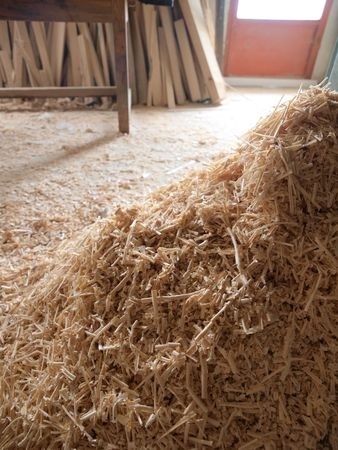 We completed a project with a local national laboratory to look at options to utilize the sawdust and shavings that we generate on a daily basis. We are now working with New Mexico State University to evaluate market potential for new products. Most exciting of the options to explore is the production of biochar which stores carbon in a stable form that is also beneficial for soil and plant health. Biochar is an agricultural hot topic that could play a major role in reducing the amount of carbon in our atmosphere. 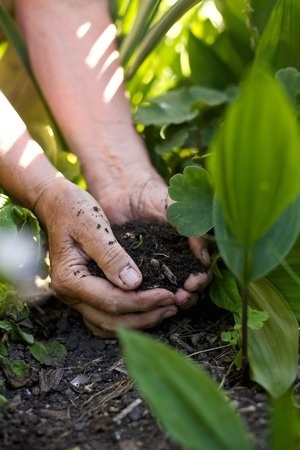 One of the basic needs of composting is to have a mix of brown organic material and green organic material. Our lumber is never treated with anything so the wood shavings and dust are ideal for use in composting as a carbon source. Since they are small in size, it breaks down much quicker than other brown waste and must be why family and friends use this material all the time. The other composting aspect we can take some credit for is the fact that shavings used for farm animal bedding eventually becomes loaded with manure. The bedding material is eventually replaced and the old bedding is further composted and used in gardens and fields to help complete the cycle.